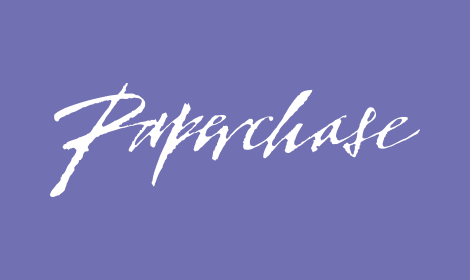 Paperchase is the UK’s number 1 shopping spot for exciting and innovative design-led stationery. For over 40 years we’ve inspired with stylish stationery, unique greeting cards, distinctive gifts as well as quality art and craft materials. Always ready with fresh and inventive ideas, Paperchase is constantly bringing you new products, with many new products launching in our stores and website every single week. Many of these are created in-house by our talented team of designers, so you can enjoy ranges exclusive to us. Alongside innovation, we maintain a great variety of essentials too, tried and tested by our loyal customers.